To help avoid keto flu, the first week or so, add (1/4 tsp) lite salt & (1/2 tbsp) magnesium citrate to your water two or three times a day, or as needed, and that will help a lot to keep electrolytes up, also spinach & avocado help too. I have this once a day normally now. If you experience a hypoglycemic episode (the worst I had of keto flu) while you adjust to low carb, I found downing electrolyte water & eating bit of peanut butter, berries, &/or greek yogurt help since they're a little higher carb but still workable into your macros. Also if workouts seem harder, don't be afraid to take it easy for the first week or two while your body adjusts to not running on carbs. I find a pre-workout snack like chia seed pudding or eggs help my muscles from feeling dead but I'm working on getting back to fasted runs. A book that I just got in the mail so cannot recommend personally but I've seen recommended quite a bit is The Art & Science of Low Carbohydrate Performance [amazon ], so you might be interested in that. I would second this and also endorse Phinney and Volek as a great resource. 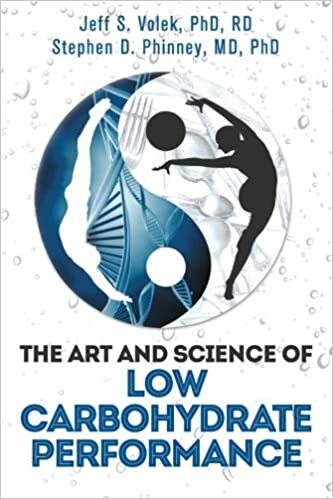 However, I would suggest their book The Art and Science of Low Carbohydrate Living as it's more introductory than The Art and Science of Low Carbohydrate Performance , though if you're into exercise might as well get both. One thing I would add though: I wouldn't really worry about hitting these specific numbers. Any amount of saturated or monounsaturated fat is fine. The main thing to purposely strive for would be keeping PUFA fairly low (20% or less) and the ratio of Omega 3 to Omega 6 balanced (1:1). This is pretty much all you need if you want to learn how to have achieve normal bloodsugars. My reference would be The Art and Science of Low Carbohydrate Performance . The authors discuss a ketogenic diet in the context of athletic performance. The freely acknowledge that a period of keto-adaptation is needed, but once past that (4 to 6 weeks) there isn't the need for carb (glucose) refeeding during aerobic exercise (runners, cyclists). There is need for water, but not sugar. Specifically, you don't "hit the wall" anymore. And for anaerobic exercise, such as really hard weight training, they recommend SuperStarch in place of high glucose just before or immediately after training.